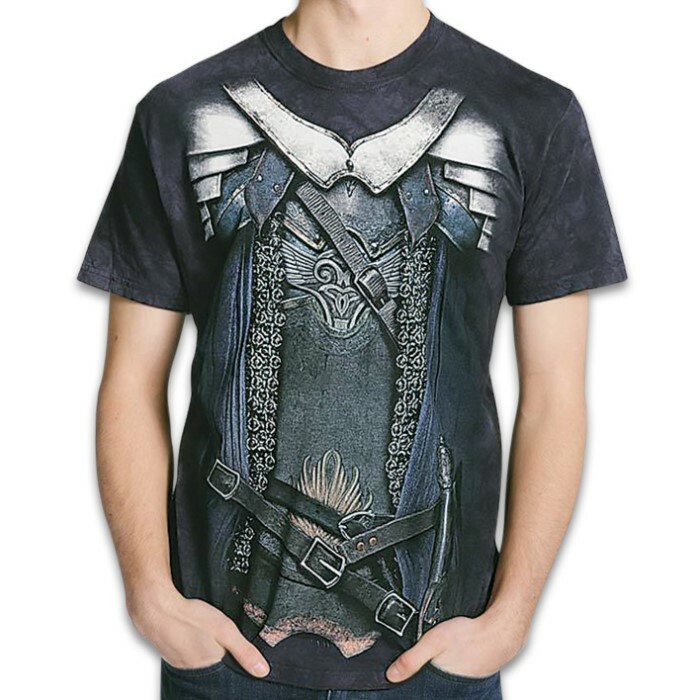 Liberation Armor Black T-Shirt - Pre-Shrunk 100 Percent Cotton, Soft Feel, Classic Fit, Hand-Dyed, Reinforced Stitching | BUDK.com - Knives & Swords At The Lowest Prices! The time is here; the time is now! Buckle your straps, tighten your boots and prepare to fight for your personal freedom. All the finest qualities of high-grade body protection are represented. 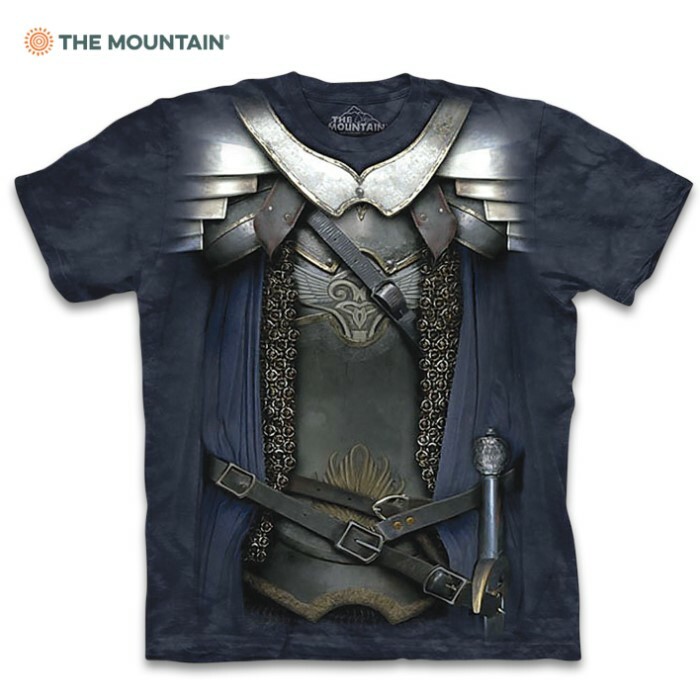 With a +5 defense against long blades, resistance against fire, and a five-second cool down built-in for after each hit, you’ll have no problem fighting off imperial scum in this tee. The preshrunk, 100 percent cotton t-shirt is hand-dyed and printed using a modified process that dyes the actual fibers of the t-shirt, giving it the softest feel with the best possible artwork. Put your fighting shirt on, watch a few scenes from Braveheart, and go lead the charge!